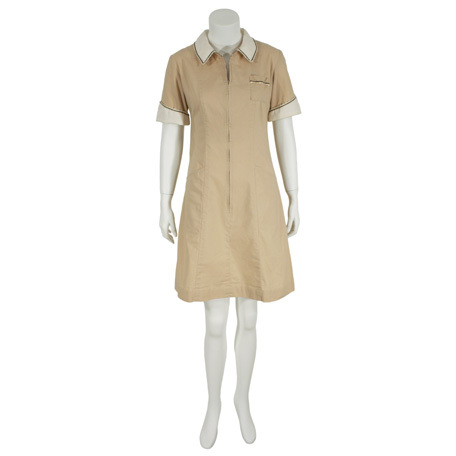 This waitress uniform was worn by the character “Carla Davenport” portrayed by actress Kate Beckinsale in the 2008 motion picture drama “Fragments” also starring Guy Pearce, Dakota Fanning, and Forrest Whittaker. 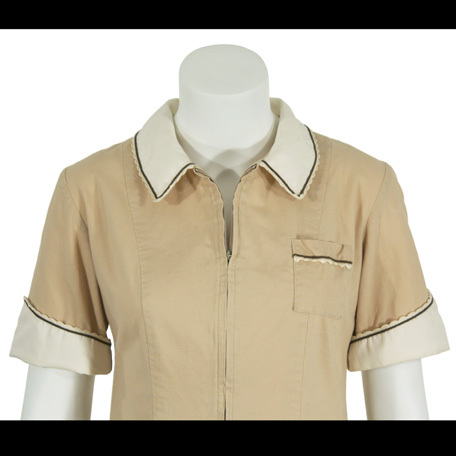 The zip-front waitress uniform is tan colored and has white collar and cuffs with black/dark brown trim and ruffled edges. 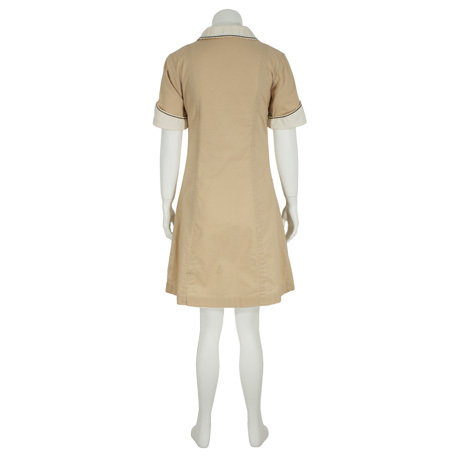 The hemline of the uniform ends just above the knees and there is a small pocket on the left breast. 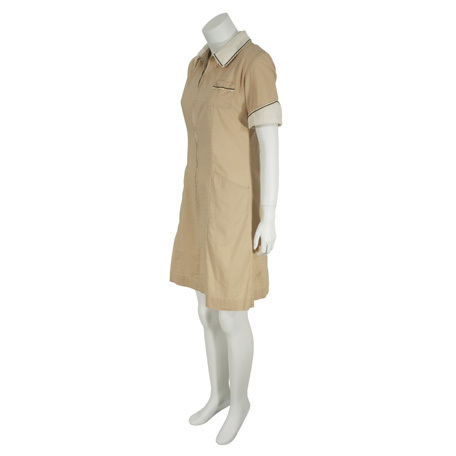 The actress wore this uniform in several scenes of the film when Carla works at the diner, and most notably during the pivotal sequence around which the entire film was based. During a seemingly average day, Carla and several other people suddenly find themselves trapped in the diner when a homicidal maniac goes on a random shooting rampage, leaving her and the other survivors to piece their lives back together in the aftermath of the shootings. The uniform is in excellent screen worn condition and is accompanied by a letter of authenticity from the costume house.